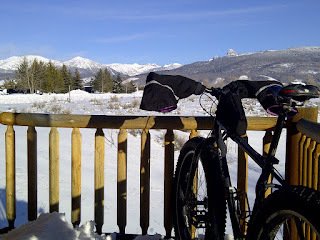 Over the years, February has been a tough month for me to weather here in Teton Valley, Idaho. Gray & white, blizzards, short days, the middle of winter, no more football to watch, months to go until spring, and so on. But I've been lovin' it this year. Not that I'd turn down a tropical vacation, but I've been happy here at home. More sunny days than usual has helped, for sure, but it's mainly the result of a better frame of mind and a concerted effort to "get out there" and enjoy these amazing mountains. For the third consecutive year, I joined several good friends for a boys weekend of snowmobiling at Togwotee. It's a place I've been going regularly for nearly 20-years now, and I never tire of that high Continental Divide country where the Wind River, Gros Ventre, Absaroka, and Teton mountain ranges all come together. 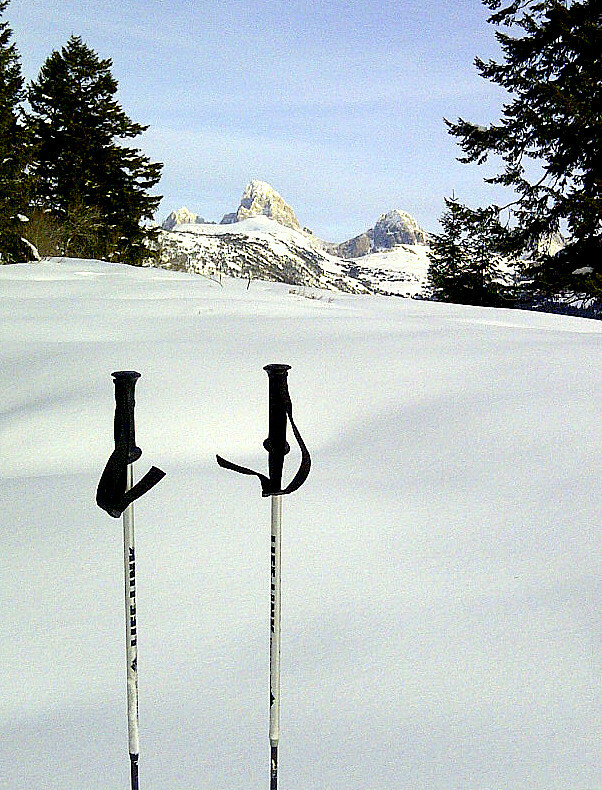 "Togwotee" is a Shoshone term meaning "from here, you can go anywhere." 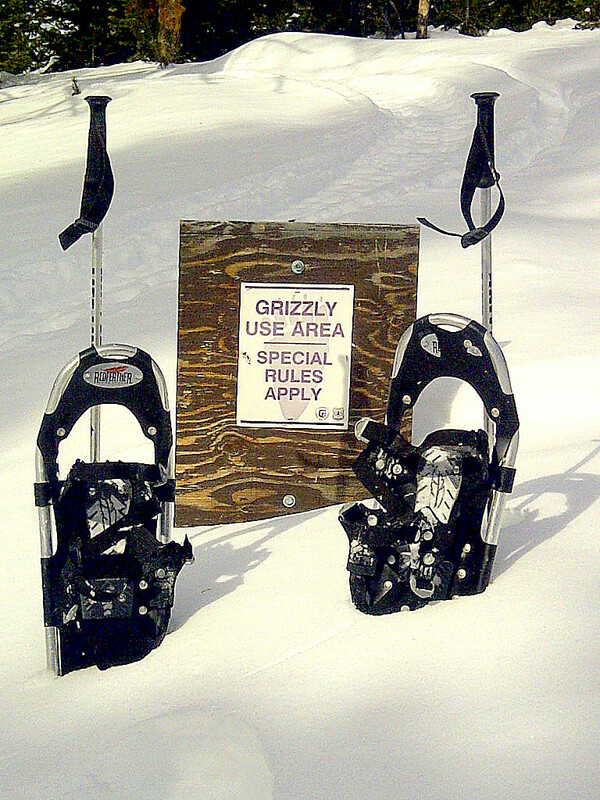 It's incomparable terrain. 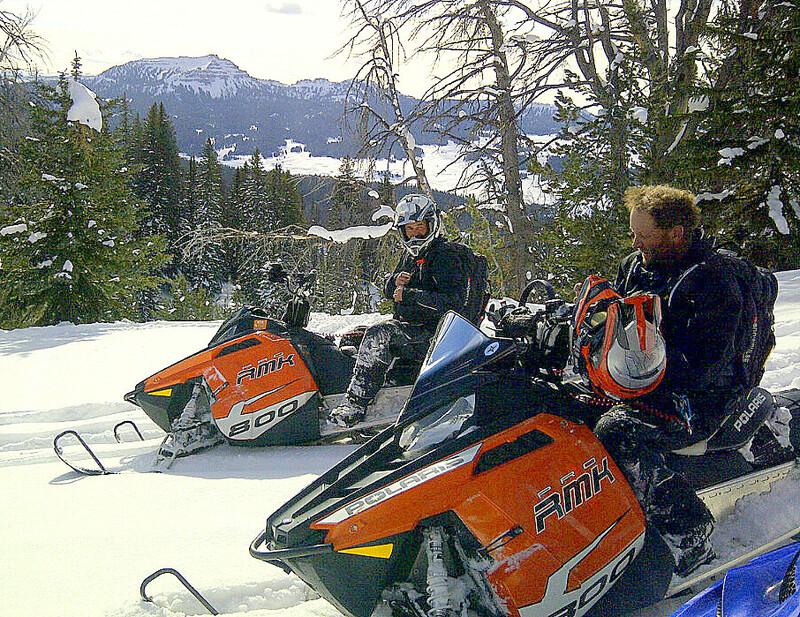 The snow depth & quality was marginal this year, so we spent much of our day digging out stuck sleds. Extensive beetle kill in the area has caused a lot of trees to fall and block former routes, which made it even more challenging. 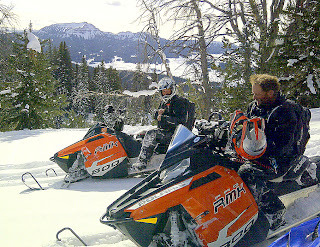 But the views were amazing, and it was great getting out into the backcountry and exploring with friends. 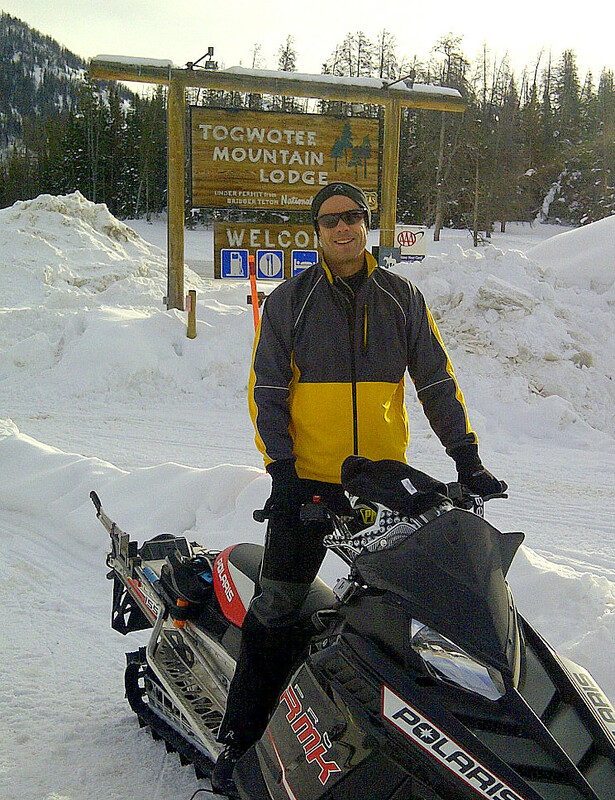 Big thanks to my buddy Andy for providing my snowmobile for the day. 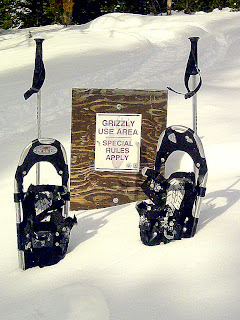 The next morning, I mixed it up with a snowshoe hike into grizzly territory; fortunately, all the bears are asleep right now. The quiet of the woods was awesome. Melissa is a huge reason for my improved attitude this winter. We always have fun, and we've made adventure a part of our lives, both locally and with some getaways to nearby meccas like Jackson Hole, West Yellowstone, & Sun Valley. This photo was from arguably the best snowbike ride ever, on a trail we'll never name over near Ketchum. 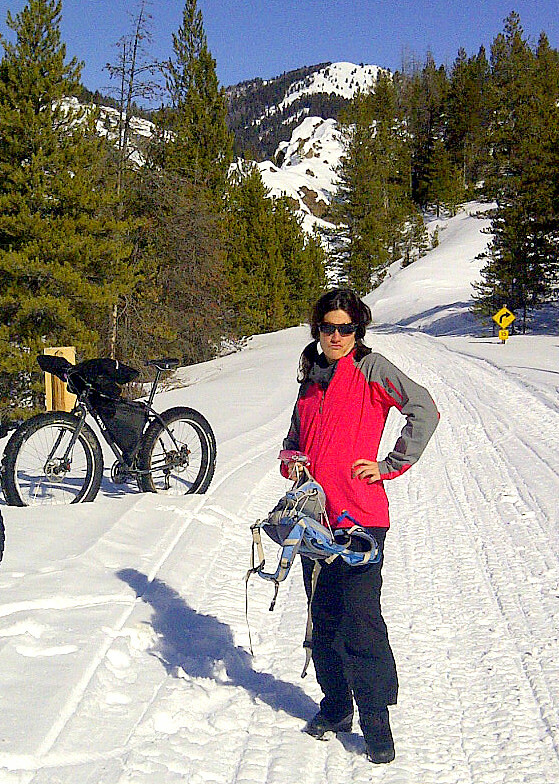 Twenty miles & three hours of sunny bliss, and the only other sign of life was a solo snowmobile rider with a snowboard strapped to his back. My kind of day. I've also been loving work, and especially the chance to continue rubbing shoulders with my dad & brother Mark in the same company. 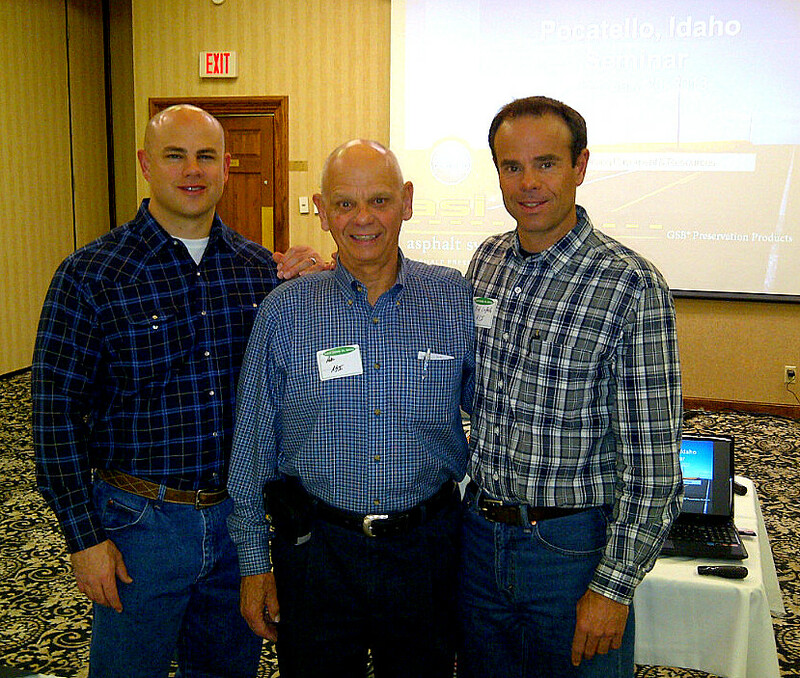 We recently did a seminar in Pocatello, attended by current & prospective customers from around the region. It was a great day of business, and family. Here's a favorite snowshoe hike I've been doing, with the Tetons standing watch. It's practically in my backyard, and the moose keep their distance. Somebody pinch me. 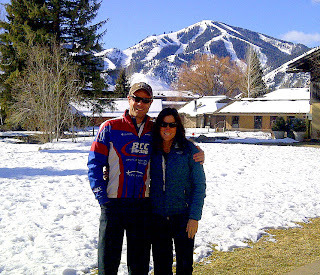 This is a keeper photo from our weekend getaway in Sun Valley, with iconic Bald Mountain in the background. I've been visiting that place since I was a year old, and it simply feels like a home away from home to me. It was great sharing it with Melissa for a couple of days. 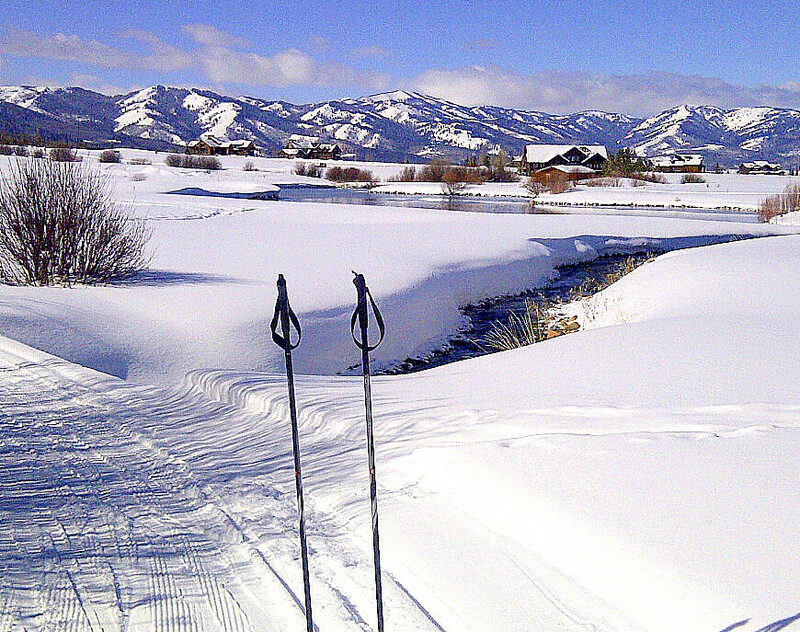 After another fresh snowfall, the skies cleared and I took advantage with a sweet x-c ski at Teton Springs, in Victor. Groomed trails meander around the golf course, through meadows and along streams. There are constant views of the surrounding Big Hole, Snake River, and Palisade mountain ranges. It brings a smile. Happy wintering...and March on, wherever you are.